Select what languages you want to include to build a custom package. CSS themes are available on GitHub. It was designed to be lightweight (2.5kb), easy to use, and extendable. Please consider donating to help support development. * This is some sample code to illustrate how things look! 1. First include some markup for code you want to be highlighted. Rainbow will pick up the language based on the data-language attribute. This example shows you how to display python code. If you want to highlight HTML you should change data-language="python" to data-language="html". You can see the list of supported languages here. 3. Finally include rainbow js and whatever language(s) you want before the closing </body> tag. If you are using node.js you can install rainbow from NPM. Rainbow on its own is very simple. It goes through blocks of code (or text), processes regular expression (regex) patterns, and wraps matching patterns in <span> tags. All the theming is left up to CSS. 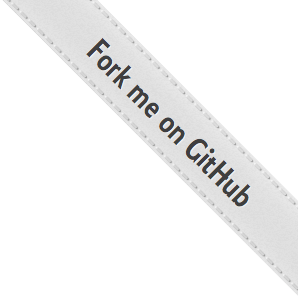 If you would like to contribute or submit a bug check out the project on GitHub.